"A pure devotee is constantly engaged. 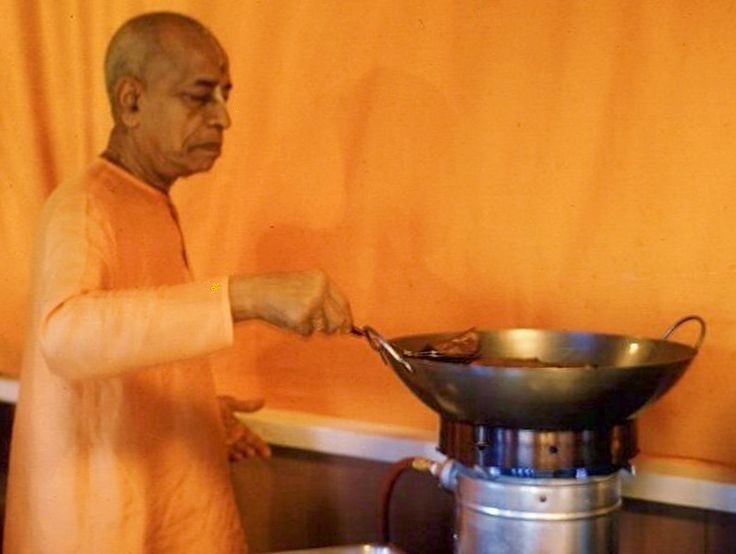 Sometimes he chants, sometimes he hears or reads books about Kṛṣṇa, or sometimes he cooks prasādam or goes to the marketplace to purchase something for Kṛṣṇa, or sometimes he washes the temple or the dishes— whatever he does, he does not let a single moment pass without devoting his activities to Kṛṣṇa. Such action is in full samādhi."